Nandemo3: Arcade Mania! 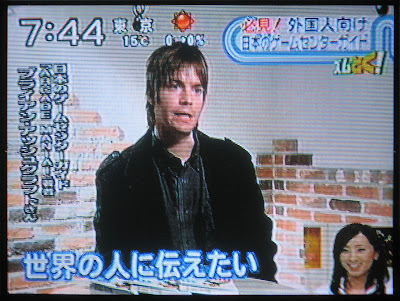 on Japanese TV! Arcade Mania! 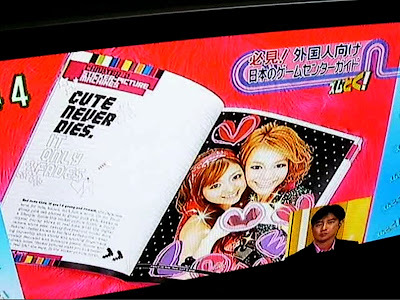 on Japanese TV! I woke up early this morning to watch Brian Ashcraft on NTV's morning show "Zoom in Super." He was interviewed a few days ago about Arcade Mania! and all of us involved in the book have been dying to see how it'd turn out. And it was fantastic! 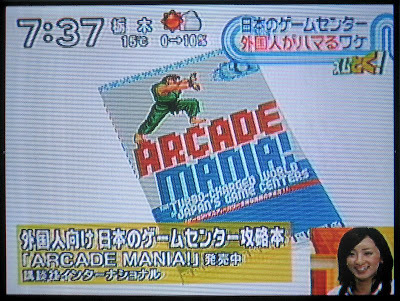 The show had basically decided to do the story because they'd seen Arcade Mania!, and ran a 10 minute segment about foreign tourists flocking to Japanese game centres. They spoke to lots of people about what they thought of the arcades and opened with a shot of the book's cover. Then they spoke to Brian (who I gotta say came across really well despite being scared shitless) and showed the book again inside and out. It was really nice to see the book getting such good exposure.